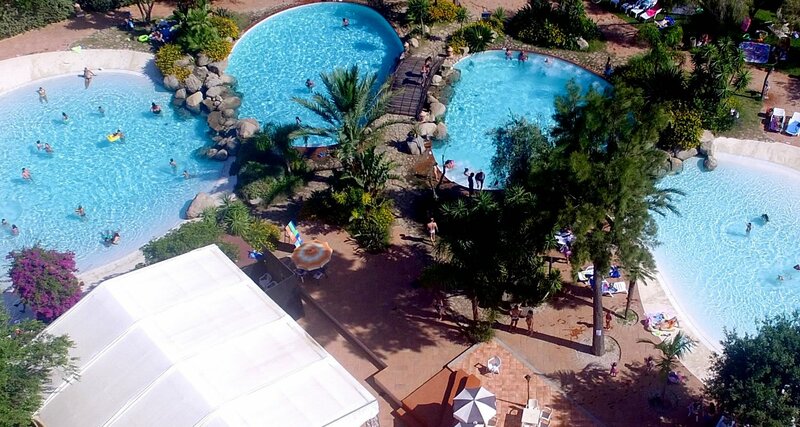 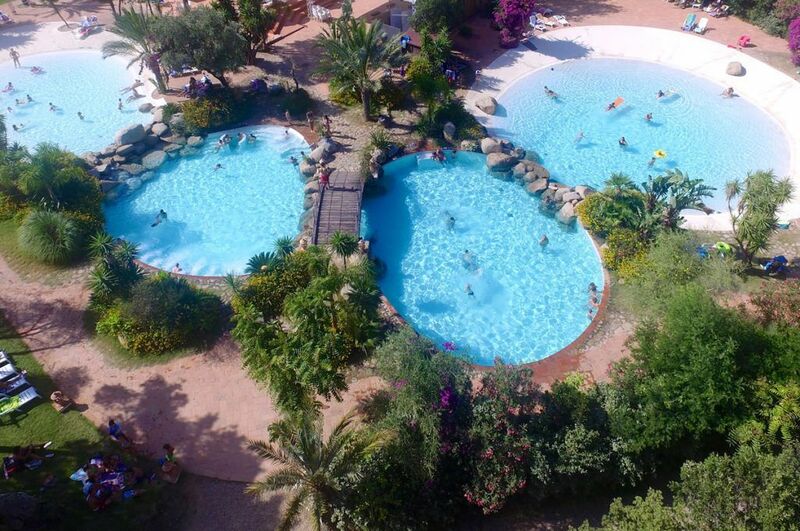 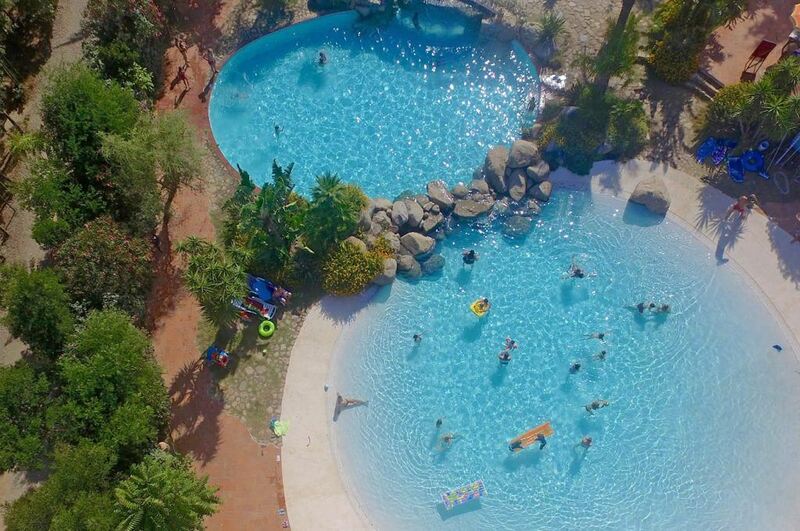 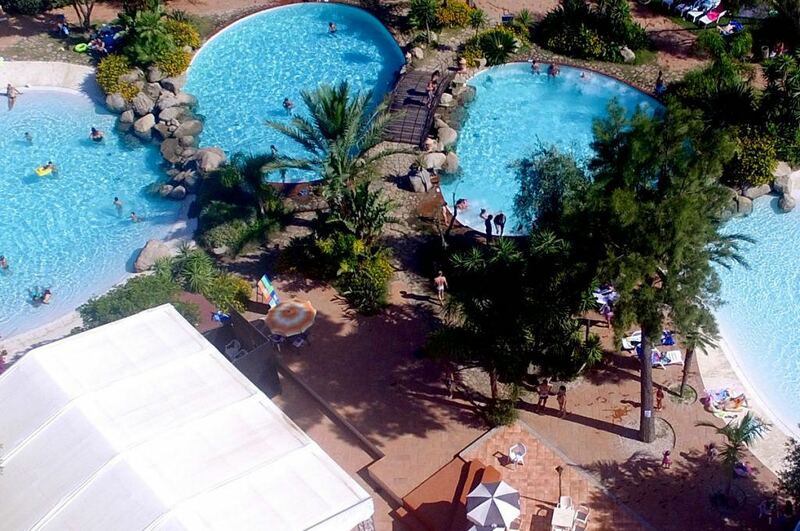 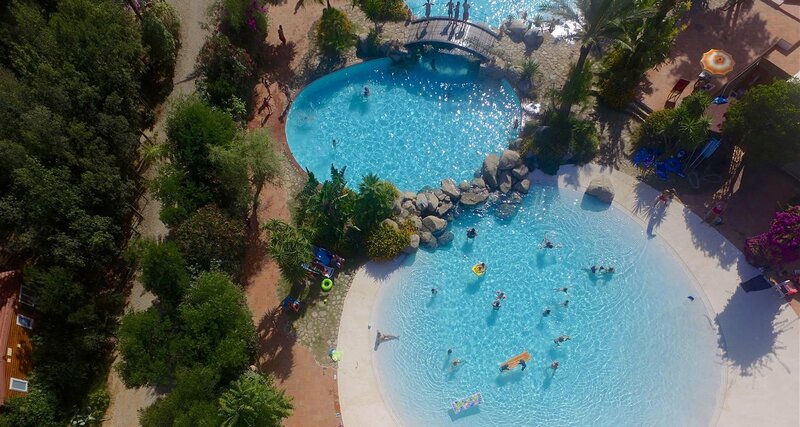 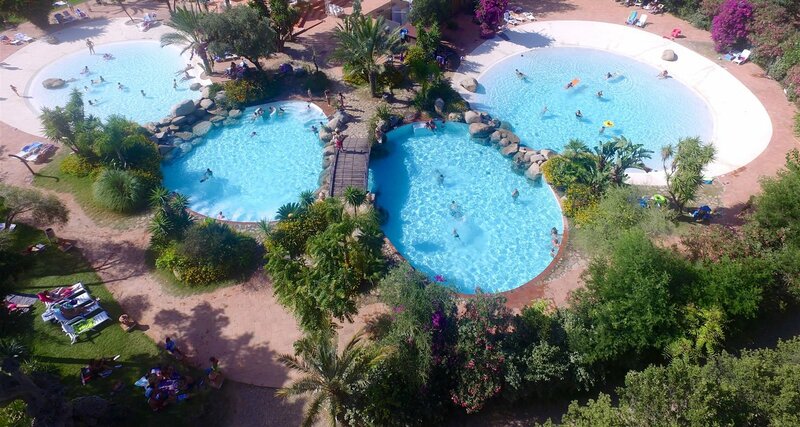 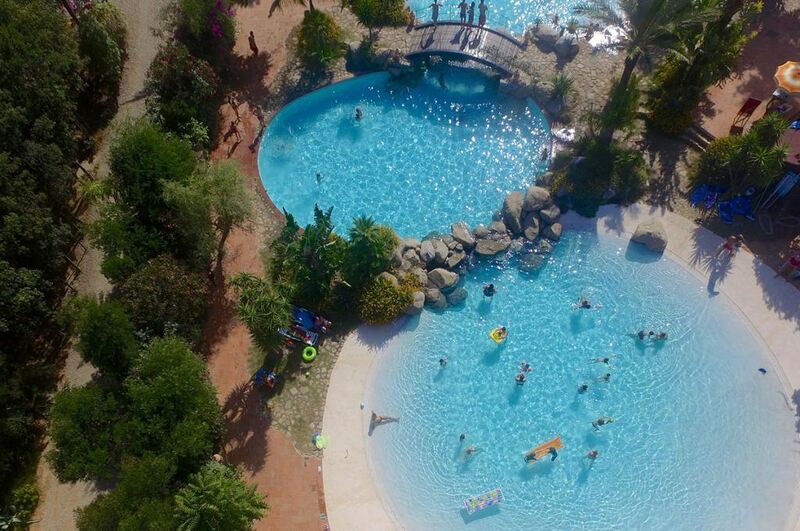 The Ultima Spiaggia Camping Village offers a proper Swimming Pool park surrounded by nature to its guests. 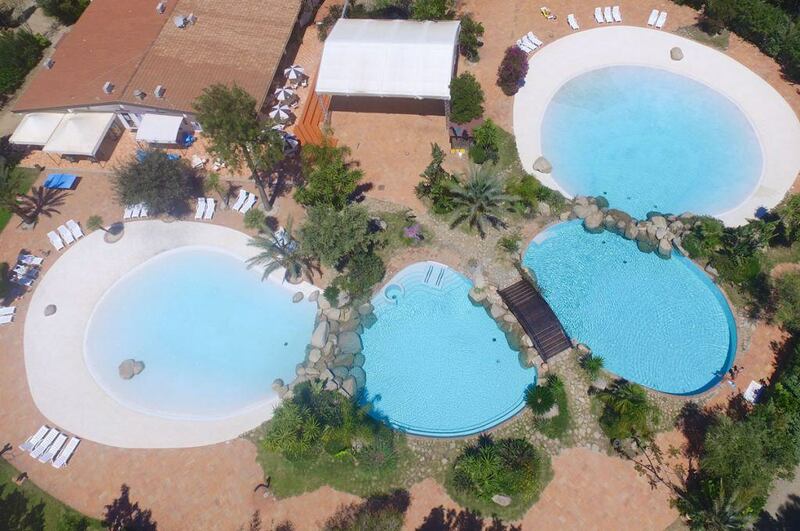 Our swimming pools are designed for relaxation and fun for all the family. 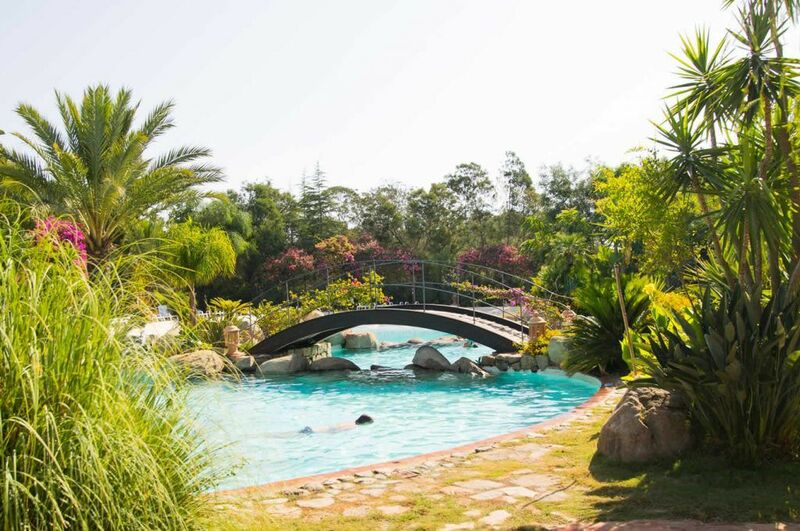 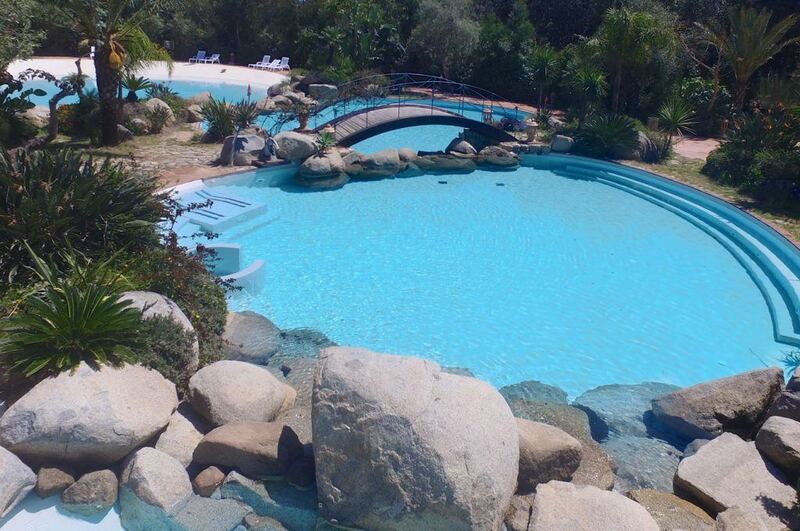 Four adjoining swimming pools with waterfalls set in natural rocks for a total area of 1000 m². 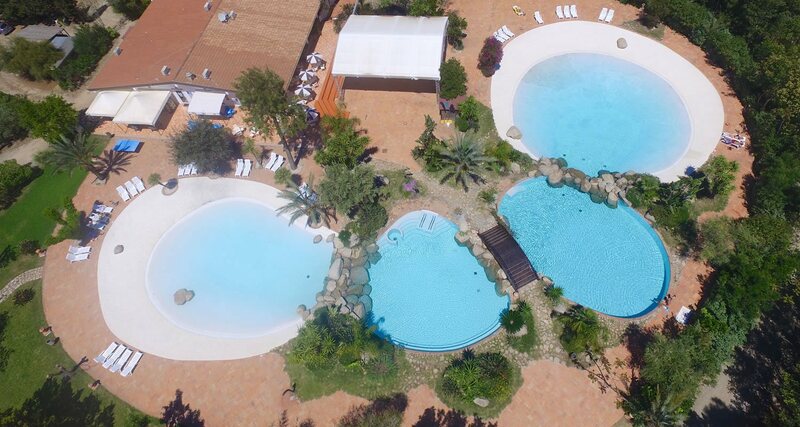 Two have a beach effect, another one is dedicated to fitness, acquagym and diving, ideal for those who want to be perfectly fit even on holiday. 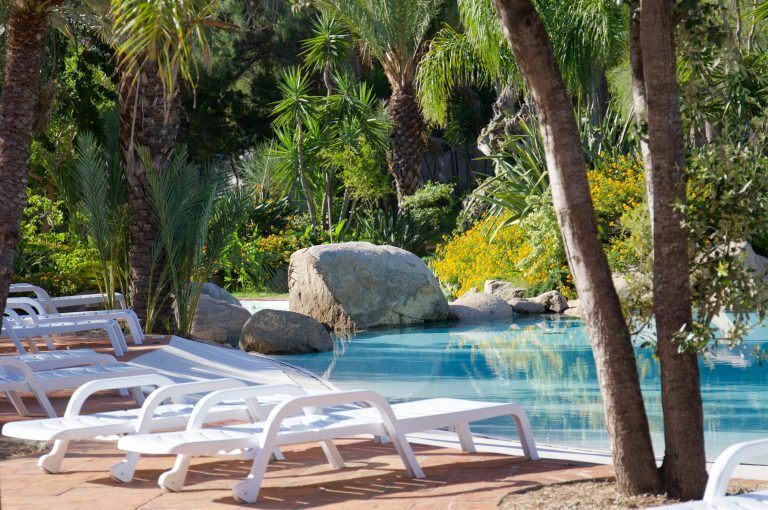 The last of the four is entirely dedicated to contemplative relaxation and to those who appreciate a healthy lifestyle thanks to the geyser effect hydromassage, cervical massages and hydro benches that give psychophysical benefits.